Tin Ceilings are the vogue these days! 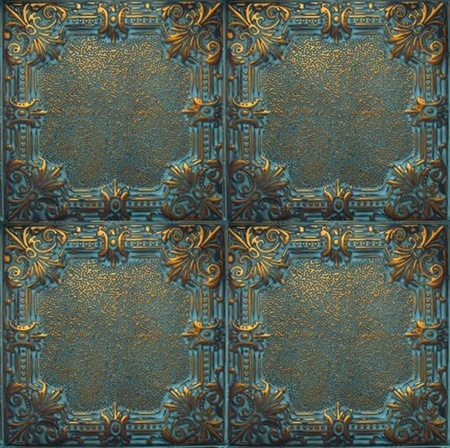 We manufacture authentic tin-plated steel tiles using designs and patterns that were popular back in the 1900s. And what’s more, tin ceiling tiles of today can transform any space in your house or building dramatically! Our tin ceiling tiles and panels are available finished and unfinished in some 30 patterns and some 80 different colors and Artisian Hand Painted finishes. 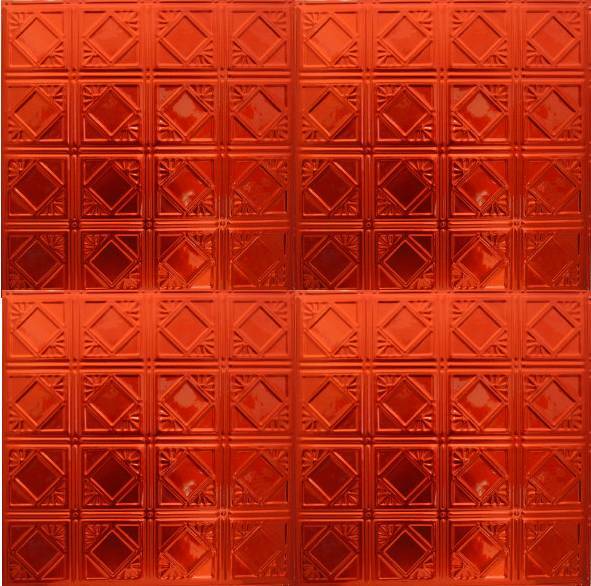 These tiles and panels are available in 24in x 24 in (2’ x 2’) sizes for tin ceilings. Every 24in x 24in design is available for nail-up, drop-in or deep drop-in installation. A limited number of 24in x 24in tiles are also available in our snap-grid format. We also manufacture tin ceiling tiles in 12in x 12in (1’ x 1’) sizes that are ideal for kitchen and bathroom backsplashes, wainscoting or other smaller areas. These 12in x 12in tiles are available in a limited number of colors and finishes. Furthermore, given their application, they are only available for nail-up installation. All tin tiles are stamped (or pressed) in-house using a high-tonnage stamping press for consistent and high-quality stampings that ensure that every single tile in your order will be identical. Instead of painting, we actually powder coat our tin ceiling tiles and panels with your selected color and then bake them in our oven to create a permanent bond. In case you are interested, powder coating refers to a process where polyester resin, color pigment and sometimes, pulverized metal is baked into the metal. Read more about powder coating on our blog. In addition to tin ceiling tiles & panels, additional matching items such as molding, edging, switch plate covers, and cone-head nails are also available so you can maintain a consistent look and feel in your project. Use our handy cost calculator to get an idea of the number of tin tiles or panels you may require for your project. Call us on 941-723-2288 if you have any questions or if you wish to order a sample pack. You can also order tin panels and tiles directly on our website when you are ready to get started. Consider ordering sample packs so you can get an idea of the look and feel of our tiles. Make sure you check out our blog where we have a ton of articles, resources and ideas and follow us on Facebook to stay in touch with ongoing updates about our products.